This exhibit explores climate change overlapping the lens of scientific information with artistic imagery and expression, inviting the viewer to engage in the material via contemporary art installations and scientific data concerning oceans of the world, waterways, atmosphere, and drought. This interdisciplinary experience highlights the power of combining different critical thinking pathways to deepen understanding of climate change’s relevance to the individual. Artists and scientists featured in this exhibit are: Kimberly Ritchie, Shandra McLane, Fawn Atencio, Martin and Erik Demaine, Eric Kelsey and his research team, as well as research and commentary by Plymouth State Faculty members Brian Eisenhauer, Eric Kelsey, Lourdes Avilés, Mary Ann McGarry, Steve Whitman, Kerry Yurewicz, and Lisa Doner. 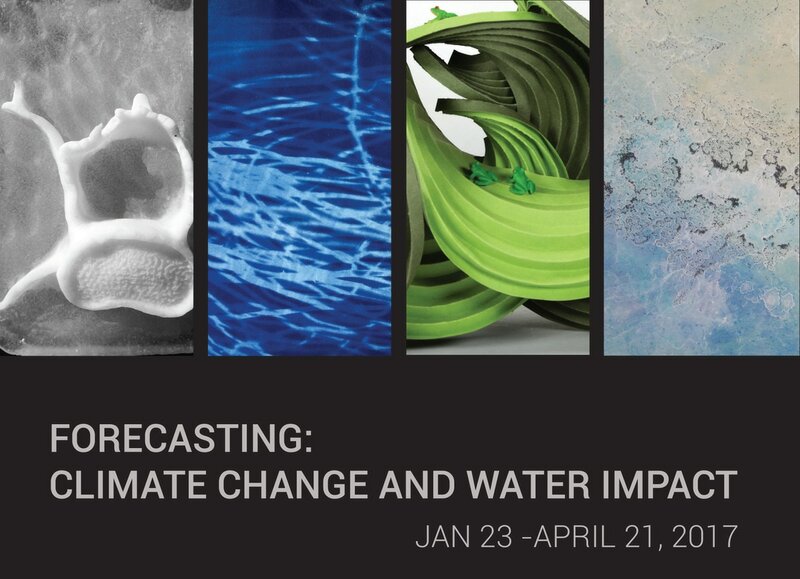 The project brings together the disciplines of meteorology, technology, and visual art to explore a topic on the forefront of today’s news: climate change and its impact on water. It will provide students with a model for describing and presenting information that originates in NH but has wider impacts. Using cutting edge technologies from both arts and science disciplines, the exhibit will be a launching location for multiple educational experiences for PSU students, area public schools, and NH educators.